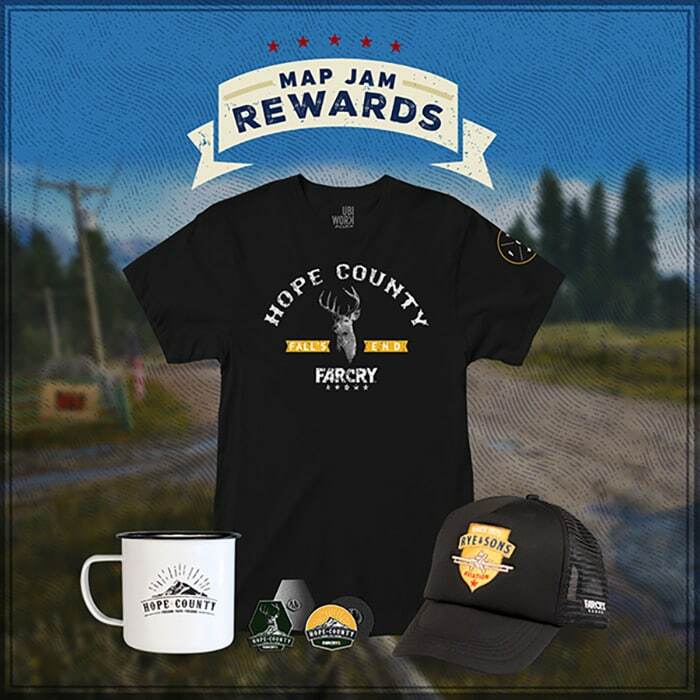 For the next two weeks, we'll be holding a Hope County Map Jam! Using the FC4 Map Editor, we want you to create a Hope County themed map. Publish your FC4 map between July 26 and August 9. The name of your map should start with “MJ1 - nameofmap”. You are free to use any game mode and any in-game modifier. Please do not use third-party Mods. You are free to create on any platform. Note that PC builders and Console builders will be split into 2x separate categories. Your map should highlight your vision of the Far Cry 5 setting: in gameplay, level design, and/or visual. You can publish additional screenshots & videos to further promote your map. For more inspiration, you can take a look at the fankit and the latest FC5 E3 content. 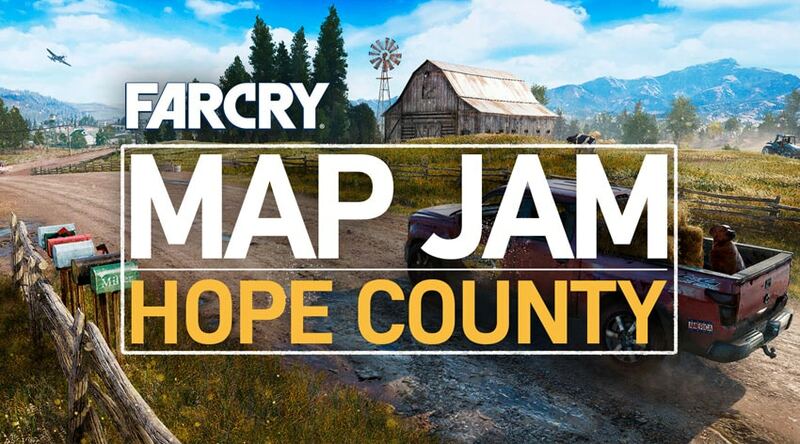 If you wish to pro-actively send us links to your images or videos, use Twitter (hashtag #FCMapJam) or email us (farcrycommunity@ubisoft.com). How will winners be selected? We will hold separate contests from the PC builders and the Console builders. 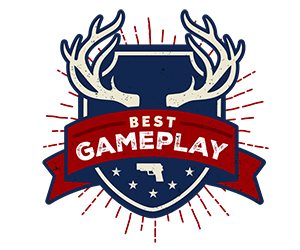 On August 10, a selection of FC5 level designers and FC5 map editor developers will look at the maps created and vote for their favorites. The maps that get the most votes will win this Map Jam (there will be others in the future). For the ‘Player-Voted favorite’ category, we will run a poll with a shortlist of the best entries. The poll will remain open from August 10 to August 13. Each category winner will receive a bundle of Far Cry 5 exclusive goodies. Good luck and happy map building! © 2017 Ubisoft Entertainment. All Rights Reserved. Far Cry, Ubisoft, and the Ubisoft logo are trademarks of Ubisoft Entertainment in the US and/or other countries. The “PS” Family logo is a registered trademark and “PS4” is a trademark of Sony Computer Entertainment Inc. Software platform logo (TM and ©) EMA 2006.